Fidel Castro Sends Word That He’s Alive—and Cautiously Optimistic About Talks with the U.S. The letter from Fidel Castro that surfaced on the front page of the state newspaper Granma on Tuesday served two purposes. The first was proof of life. 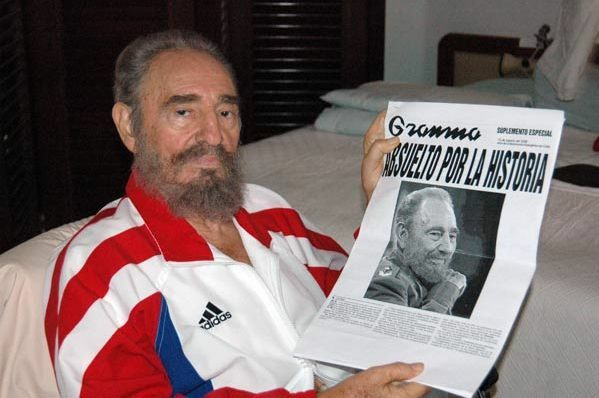 When you’re the founder of a state and your physical condition is subject to almost constant rumor, you don’t arrange to be photographed holding up a copy of a current newspaper to prove that you remain alive. You remark on events that have recently transpired, and make that front page your own.